No, I don't know what you're thinking. I'm studying psychology not telepathy! No, I don't know what you're thinking. 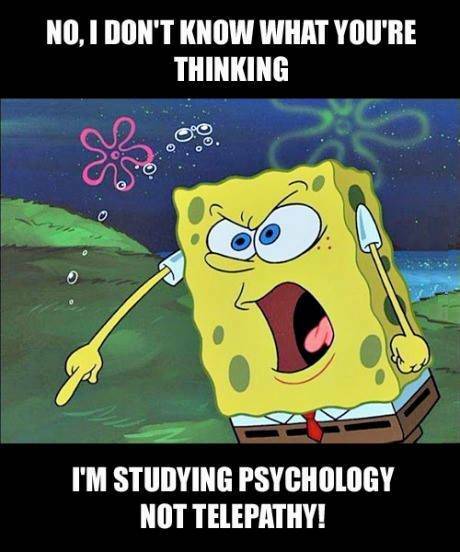 I'm studying psychology not telepathy! Psychology students will know !